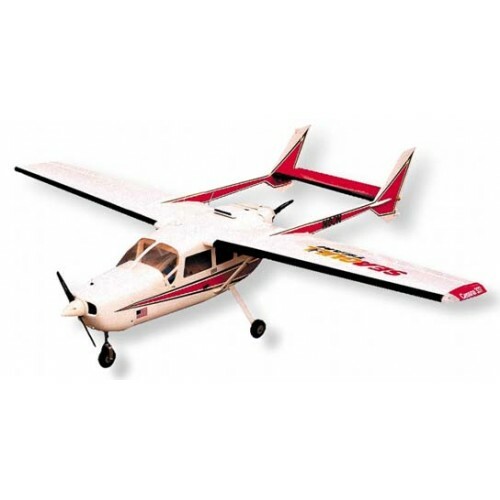 The Seagull Cessna 337 Skymaster is a sport scale model of the unique push-pull twin engine aircraft. One engine is mounted in the nose and the other at the rear of the pod style fuselage. 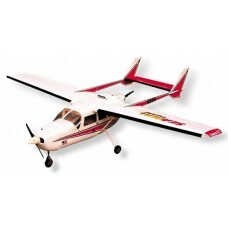 Seagull have successfully reproduced this model with twin engine capability and superb detail. Details such as scale oleo nose landing gear, functional flaps and led lights are all included and provide realism in the air and on the ground. Top quality balsa and balsa plywood construction is covered in genuine Ultracote® for durable and easy to repair finish. Rec. Engine Size 2-Stroke .36 - .46 cu. in. 4-Stroke .52 - .72 cu. in.